The Sept. 14 gathering at the Mitchel Houses Community Center was part of the department’s “Build the Block” initiative, quarterly meetings started in 2016 to foster dialogue between officers and their assigned communities. 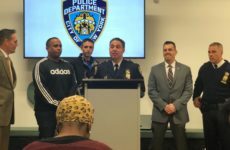 At this meeting, tenants drew attention to safety and sanitation issues and police conduct. 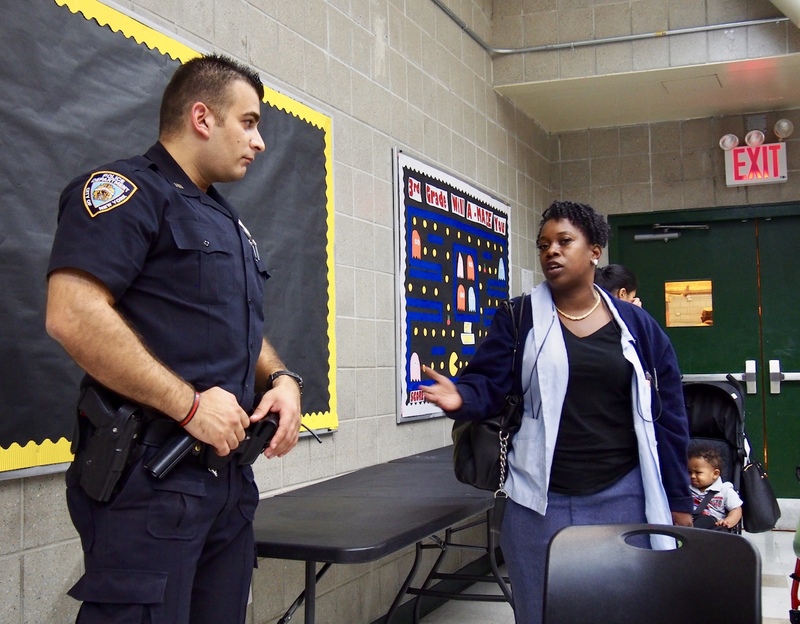 Neighborhood Coordination Officer Artur Yukhananov, who covers the Mitchel and Mill Brook Houses as part of the city’s two-year-old NCO program to bring local cops closer to neighborhood residents, hosted the forum. Resident Tyrone Hayes soon tested Yukhananov’s willingness to listen by criticizing police response to issues at the Mitchel Houses’ “Family Day” event this summer. Yukhananov said that noise from the Family Day event had been disturbing other tenants trying to sleep, and that someone had called 911 to disperse the crowd. He and Hayes proceeded to speak over each other until another officer suggested the Family Day incident be addressed at another time. Hayes, 52, then walked out, as did several others. Before leaving, Mitchel Houses tenant April Thomas said the tension with police in their community is a reflection of police-community relations nationwide. Several residents expressed frustration over building conditions. Over the past two years, Mill Brook and Mitchel Houses have made local headlines for instances of leaky ceilings, vermin, gang activity, and violence at the complexes. 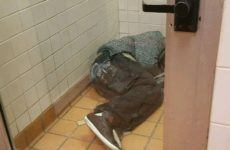 Nelson Montalvo, 56, complained of feces and urine in the Mill Brook elevators, hoping the police could help catch the culprits. Marilin Burgos, 23, said the Mitchel buildings’ exits stink of garbage, while Easter McLeod, 56 and Linda Duke, 73, said poor lighting there is hazardous at night. Yukhananov vowed to address the lighting issue when he returned to work the following week but made few promises for the New York City Housing Authority, which holds primary responsibility for most building repairs. “There’s a lot of residents, a lot of developments, and not everywhere they have finances to fix it right away,” he said. After the meeting, Officer Yukhananov told The Herald that he thought it went well. Despite the tension, he was pleased that residents had aired concerns to inform his policing.